Proud member of the ASPCA Guardians! Check out discounts-free shipping on our store. SUPER FEEDERS® PROUDLY MANUFACTURED HERE IN THE USA! At Super Feed®, we don't just sell Super Feeders®, we designed them, and they have been our specialty for 23+ years. It is extremely durable, simple and safe. 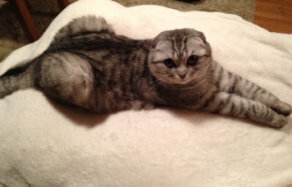 Most importantly, its dependable operation will astonish you! 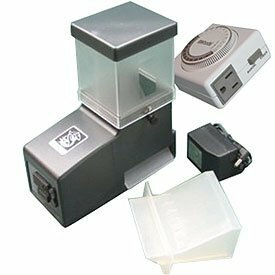 Standard system uses 120 VAC with a low voltage power adapter for safe and dependable operation. A battery only system is also available if you must have it. Feeder's operating voltage range is 9 to 24 volt AC or DC. Our Super Feeders® are translucent smoke color and come with frosted clear hopper extensions for food level visibility. A 1.5 gallon stackable hopper is also available. Each feed cycle is adjustable to dispense from a very small portion to several cups per day. 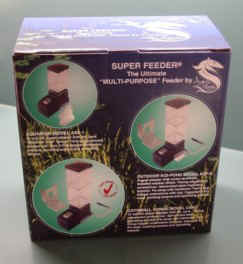 Super Feeders can feed up to 72 times per day or more depending on external timer used! Extremely versatile. Its use is not limited by a typical built-in programmable timer!! Power and "trigger" it with any 120V timer via its supplied adapter. 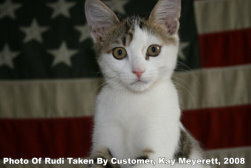 Use any remote control switch to manually feed your pets...An X-10 or other home automation system is a perfect match. You can even activate your feeder by phone with our Wi-Fi socket from your office or vacation spot! You could even do away with its internal electronic components to run it from your own timing device. Several Super Feeders® could be simultaneously operated from one timing device. 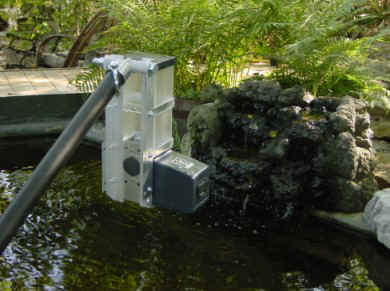 Connect your Super Feeder® to your existing aquarium light timing device, and trigger it when your light comes on. Powerful gear drive coupled to unique food extraction system cannot and will not bind up on pellets or other foods! For Aquarium use, due to internal motion, flakes will not clump up together . When installed as directed, our innovative patented food distribution system is not affected by common moisture associated with most aquariums, and will also vastly reduce water pollution. No auger--No binding! Startling performance with flake food! 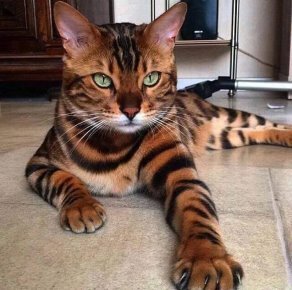 Do you train animals? This Super Feeder® may be the perfect tool for you. Click on "Functions" link also. If you're looking for a quality Automatic Pond Fish Feeder, Automatic Aquarium Fish Feeder or other House Pet Feeder that will totally fulfill your feeding needs, and most of all, keeps working, LOOK NO FURTHER...YOU'VE FOUND IT! will renew your faith in automatic feeders. Tell us what type of automated feeding you want to do...from one fish in a gallon tank, to hundreds in a small pond or hatchery trough. 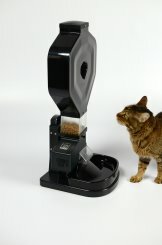 Great for cats, birds, turtles, rabbits, swans, guinea pigs, small dogs, etc...Our Super Feeders® can be operated many different ways, thus making them the most unique and versatile feeders available, not only for vacation, but for everyday use. And, since we make'em here in Texas and Tennessee, there will be no hassle if you ever need help...We're just a phone call or E-Mail away! Try a Super Feeder®, you'll be glad you did. Guaranteed! IF YOU'VE NEVER SEEN ONE WORK AND HAVE NEVER SPOKEN TO SOMEONE WHO USES ONE, WAIT TILL YOU FIND OUT HOW DIFFERENT IT IS FROM ANYTHING ELSE. EXPERIENCE ITS EASE OF OPERATION AND DEPENDABILITY. YOU'RE IN FOR A VERY PLEASANT SURPRISE!